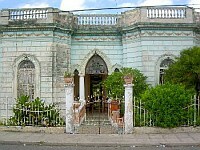 …find huge colonial houses in Merida at what appear to be ridiculously low prices. Courtyards with fountains, tiled roofs, French doors, stone floors...the romantic image of a tropical colonial house is what entices the foreign property investor to purchase in the colonial city of Merida, in Mexico's Yucatan peninsula. As an architect who has recently purchased and restored a Spanish colonial house in Merida I have spent a great deal of time searching for the perfect house. In Merida there is so much to choose from...from European inspired classical architecture, Spanish colonial architecture, to very contemporary international designs...all which have their own unique architectural as well as investment value. As with all property investment there are a number of considerations to keep in mind when searching for a property. Is this a house for me to live in permanently, a vacation home or to ultimately resell? Is the location suitable to these issues? Are other foreigners investing in this area? Is the house unique? Does the house have potential to expand ? Is the house well built? And most importantly, is this house a good investment? These are all questions that I continually ask myself...and often ignore if the house has some incredibly unique or charming character. After all if I find something irresistible I imagine that someone else will as well and therefore my investment is sound. If I have doubts I usually steer myself away. 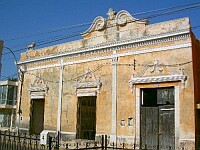 In Merida, the prime location is the historical center and values here are steadily climbing. As many foreigners have already invested in this area it is more and more difficult to find a good house at a good price in this location. However there are still properties available one simply needs to be selective. Always keep in mind that first impressions are very important in property investment. So try to purchase a home on the best looking street that you can afford. A beautiful house on an unattractive street is difficult to sell but a plain house, with potential, on a beautiful street can be an excellent and undervalued investment. For this type of house one often needs to have some imagination in regards to how the house can be transformed. Hiring a local architect for a days consultation can be invaluable in determining the potential of a house. Buying a home in a vacation destination is different from buying a house back home. The daily conveniences, parking, proximity to schools, etc are not as important. People will often overlook slight inconvenience in exchange for a enchanting location. 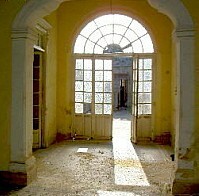 One can often find huge colonial houses in Merida at what appear to be ridiculously low prices. When buying keep in mind why you are buying. Do you really need that many rooms, do you really want that many guests, do you really want to renovation, furnish and air condition that much space? A large home can be a great deal of work, lots of maintenance and expenses. I often find a small home that has room for potential growth to be the better investment. After all, potential is something that everyone is looking for ...whether they decide to use it or not. And most importantly keep in mind your budget. While the large house may appear a great deal you will need to renovate or restore a much larger space than you really require. Nothing detracts from your property value than work or finishes done cheaply. It is much better to go for the midsize or smaller house with great quality finishes for your investment dollar. Property is a visual investment and quality workmanship and finishes are your selling point. Outdoor space is also important. Again size and type are things to consider. A large tropical garden will require an irrigation system, a gardener and lots of attention but provide an enormous added value to your property. A smaller garden or courtyard adds charm and extends your living space without the added maintenance and expense and make the home seem larger than it really is. Pools can add to the value of your property but be certain that you will really use it regularly...in a tropical climate pool maintenance and cleaning is a constant requirement. Fountains, ponds and other water features can often replace the image of a pool at much reduced costs. Architectural style is probably one of the most important considerations in buying an investment property in a historical center. The majority of purchasers are looking to be enticed by a romantic image of a colonial tropical home rather than square footage. Keep in mind that most buyers probably are moving from houses in the US that are less than 25 years old. 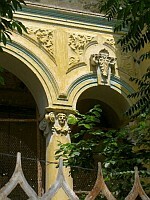 So high ceilings, original features, columns, courtyards, fountains are all great selling points. Try to find a house that has not been renovated as you are paying for work that you will more than likely need to redo and in most cases the true original features have been lost. Nothing looks worse that cheap copies of historic features so keep the design as simple as possible and focus on the positive...garden, courtyards, etc. The tropical climate of Merida suites an open plan that allows breezes to pass through and cool the house. The rooms should focus or open onto internal courtyards or gardens allowing for an indoor outdoor lifestyle. Keep the plan flexible so that future buyers can have the option to use rooms differently. 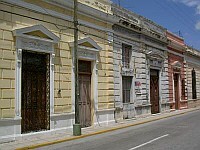 Merida offer a unique selection of architectural styles. 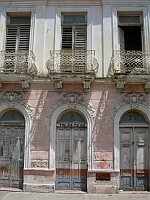 French and Spanish classical inspired homes have ornate detailing on the exterior and interiors and were the homes of the wealthy citizens of Merida. The colonial styled homes are more simple and have less elaborate details but usually offer large spaces with very high ceilings and are less costly to restore. And most recently the mid century modernist style houses are becoming popular with the younger investor...these modernist houses usually offer large light filled rooms, slightly lower ceilings but with the possibility to have a very contemporary open plan home. Merida has much to offer to the discerning investor in all price ranges. With clear thinking, an established budget, some professional guidance and common sense you can find a great property investment in this beautiful tropical city.